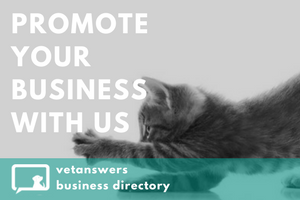 Create a Business Listing on Vetanswers to promote your business, and help others find you. Use the Business Search panel to locate other businesses in your area. Our Services and products: - QuickVet PMS, affordable software for your Clinic - VETS-APP smartphine APP builder platform for easy client communication and education - Berylas Laser system for BOTH Therapy and Surgical applications. iM3 enjoys an enviable reputation for quality products & superior customer service in the veterinary dental industry. Our reputation & passion is your guarantee of advanced technology, unique features & quality workmanship. We love what we do! ACAC offers Nationally Recognised Training qualifications in pet grooming, general animal care and companion animal services. We operate in partnership with QATC (RTO 31258) and are a sister college to the Aust College of Vet Nursing. A new independent small animal practice in North Maclean, where the focus is on pets and our relationship with our clients. We believe that pets are family too! Established in 1965 as the world’s first and leading membership-based organisation dedicated solely to providing continuing professional development (CPD) for veterinarians, the CVE prides itself on being a leader in veterinary education worldwide. The ONLY Australian iPad Apps specifically designed for use during veterinary consults. Improve client communication, compliance & consistency in your practice. Add value to your services, achieve the WOW factor & stand out from your competitors. The Veterinary Buyers Group is a buying group consisting of veterinary practice owners who want to reduce expenditure, increase profit and improve the way their practice is managed. Veterinary Branding offers graphic design, marketing, website and branding solutions exclusively to the Veterinary Industry. We work in the veterinary industry - we KNOW the veterinary industry! Registered Australian Pharmacy specialising in prescription medicines, prescription foods, supplements and treatment for pet owners in Australia at an affordable price! We are located in Western Sydney and ship all over Australia!